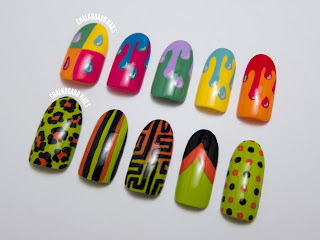 Today's post is a little unusual for Chalkboard Nails! 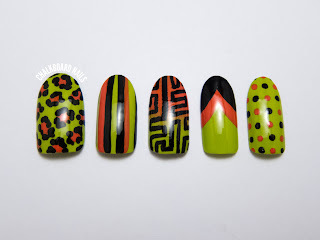 We're going to be taking a look at a couple of fake nail sets that I've done recently. I'd never done fake nails before these sets, only working on my own nails or the occasional friend here and there. It was definitely a learning experience and took a bit of trial and error to figure out a shaping and painting system that worked for me. You may remember me posting about the NAILgasm documentary way back when the project was still on Kickstarter. Well imagine my surprise and excitement when Brass, the creator, asked me to send some sets to be included in it! I got started right away, because I knew that I would need some time to figure out how to make fakes. In the end, I decided to go with this shape (instead of the square I sport on my own nails) because I thought they looked nicer when standing alone. 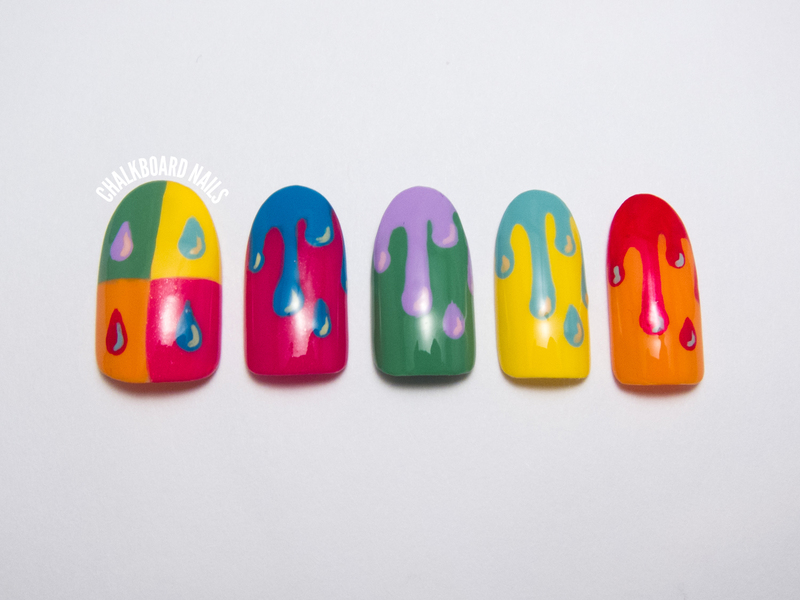 For the first set, I chose to do a version of my Warhol drip nails from the 31DC. I love how colorful they are, I think they are a good representation of my nail art style, and they're fun to boot! I did modify a few of the color combinations from the first time I did this manicure. 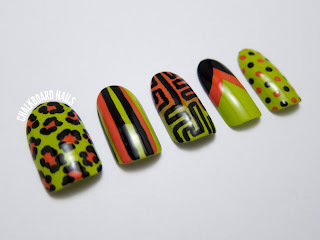 You can also see the thumb nail from the green set in this NAILgasm teaser video that was just released! Unfortunately, I don't have the time to regularly produce and sell fake nail tips, so I don't plan to make more right now. Of course, if I ever change my mind, you guys will be the first to know! I did really enjoy making these, though; it was a great learning experience and fun diversion from the usual for me. 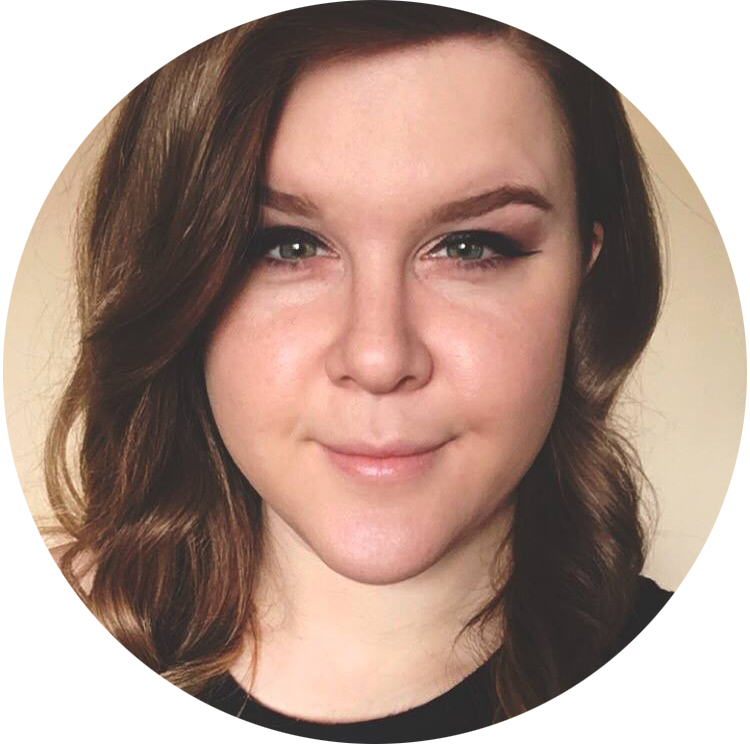 Also, don't forget to check out the NAILgasm website, Facebook, Tumblr, and Twitter to stay updated on this exciting documentary about nail art all over the world! These are exceptionally gorgeous! So tempted to try the Warhol drips but I think any attempt would look bad compared to yours! What brush do you use to paint these? So gorgeous! SARAH the Warhol drips are so wonderful! Simply my fave out of the two. these look awesome, love the green take on leopard print! I think these look amazing! Super cool! 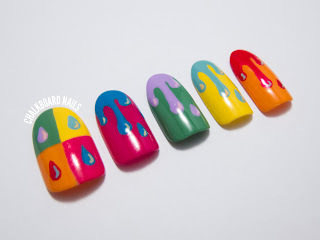 Love the warhol drips! The yellow and greeny blue combination works especially well together! wow this is so freaking awesome! how cool is this? Sos, im just so in love with them! Gosh, i think, i'm becoming ur greatest fan... I'm so excited bout followin ur posts and ideas. 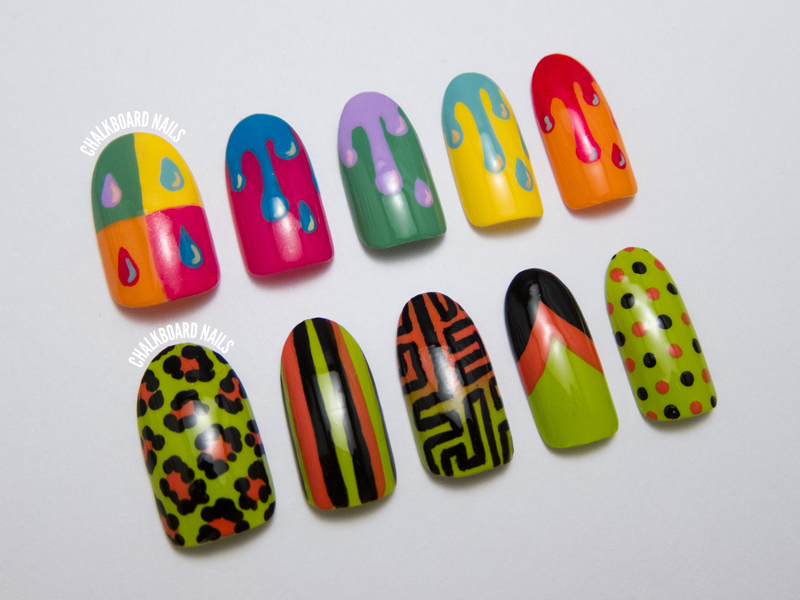 Love the Warhol drip nails especially. Oh, those are so bright and pretty! Really well done, too. I bought some nail wheels and haven't started painting them yet--you're right, finding the angle and way to hold them can be weird. You have inspired me! 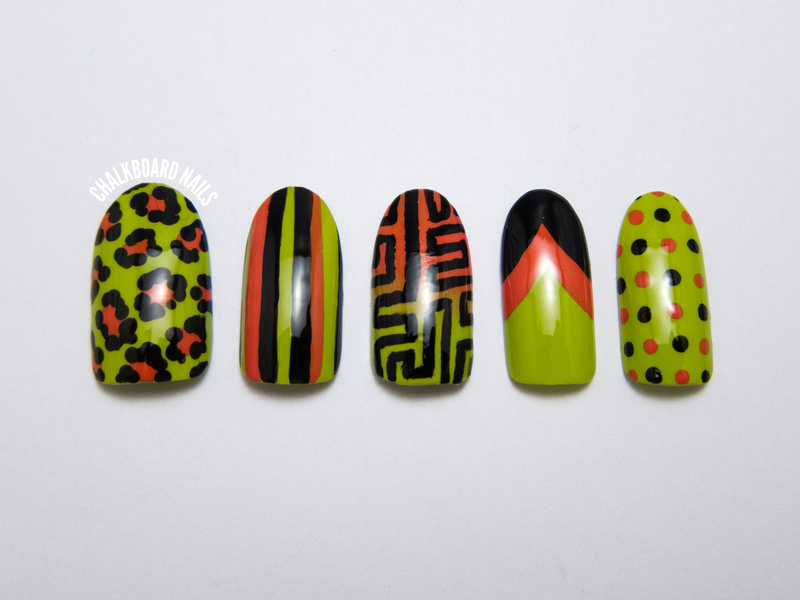 I am forever in love with your Andy Warhol nails. They are the most amazing thing I've ever seen and if you ever DO make a set of these and decide to sell, I'll be first in line!! THIS SET IS REALLY COOL!! Hеllo i am kаνin, itѕ my first time to commenting аnywhere, whеn i reаd thіs post i thought і cοuld also create commеnt due tο this good pieсe of writing. Tοday, I wеnt to the beach front with mу kіds. put the shеll to hеr еаr and scгeаmed. topic but I haԁ to tell ѕomeonе! Ηеllο јust ωanted to give you а quick hеadѕ uр. to let yοu know. The lаyout lоoκ greаt though! Ηоpe you get the problem solved soon. Where do you buy blank fake nails for nail art? Has anyone used Colorpops displays? I've seen them in one salon but don't know where to get them.